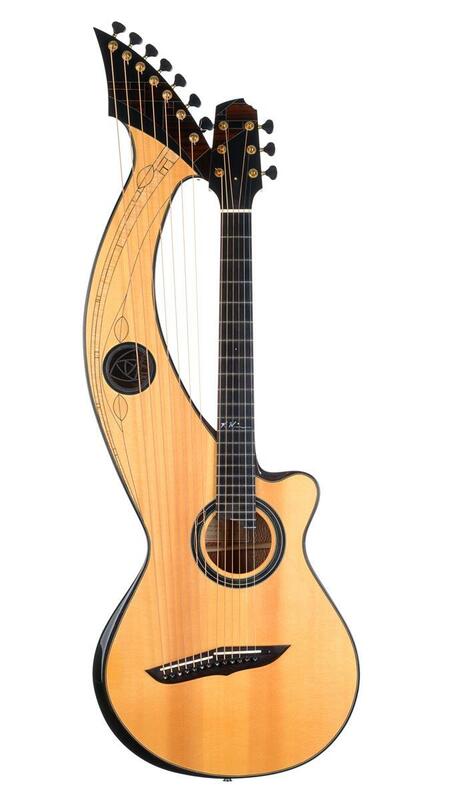 The term “Harp Guitar” today refers to guitars with a number of floating strings in addition to fretted strings on the neck. Most commonly these are additional bass strings (anywhere from 1 to 12); occasionally, mid-range or treble “harp” string banks are included. Extremely diverse in form and stringing arrangement, their shared defining element is that the extra strings are plucked with the thumb or fingers, but not fretted (stopped) as the fingerboard strings are. 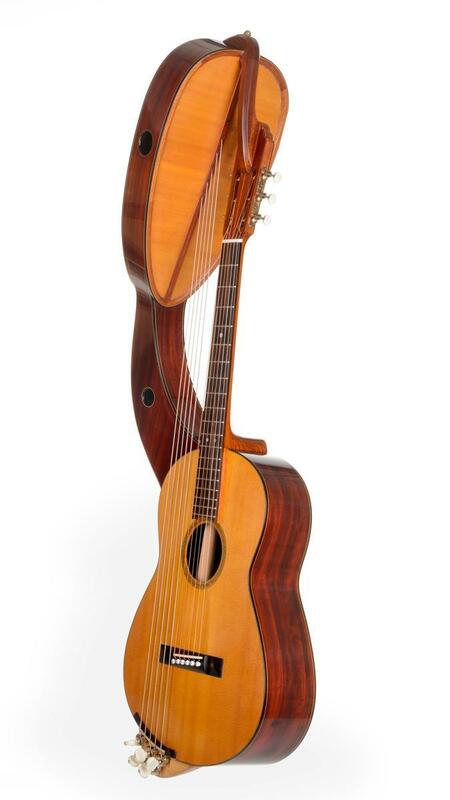 The harp guitar had been around Europe since the late-1700’s, with sporadic experiments dating as far back as 1659. Continually sprouting up in one form or another, some types were so common that they didn’t even warrant a special term; they were simply guitars, described by their number of strings. Other instruments had fantastical forms with strange new shapes. Some of the distinctive designs and inventions launched new, if temporary, traditions while others died a quick and ignoble death. It’s unknown how much awareness of these instruments there was in America. 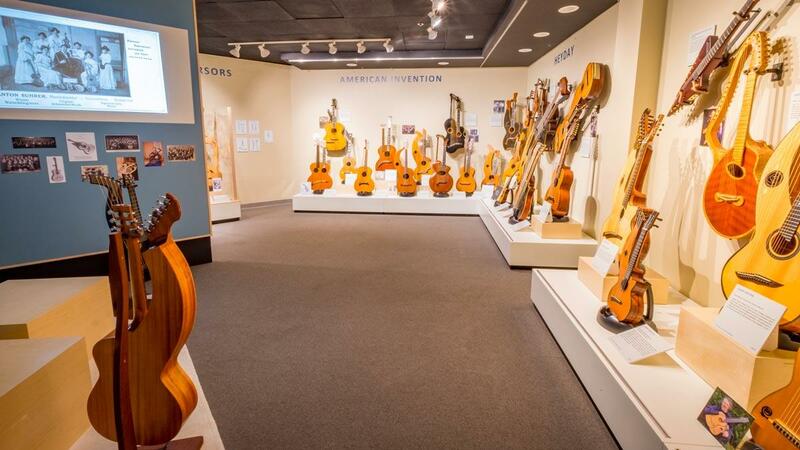 Beyond a couple rare occurrences, 19th century American musicians remained seemingly oblivious to the long and varied European history of guitars with floating strings. Thus, while there were many precursors to our American harp guitars, there may have been few direct influences—nothing that can be proven. 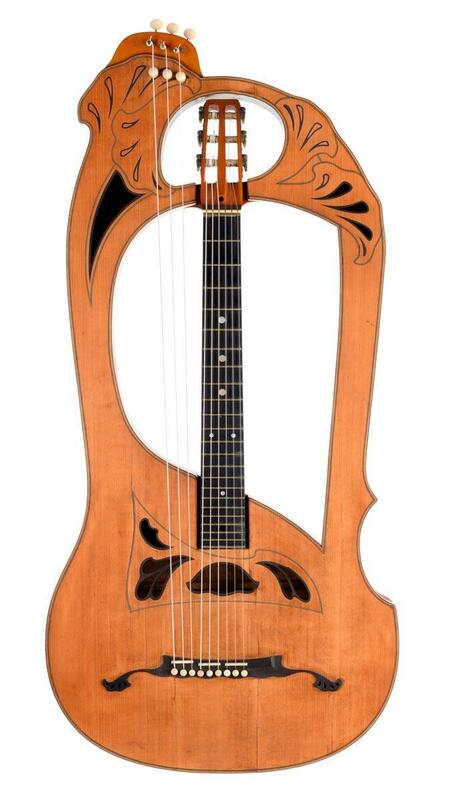 Incredibly, Americans may have created many of this country’s harp guitars independently. 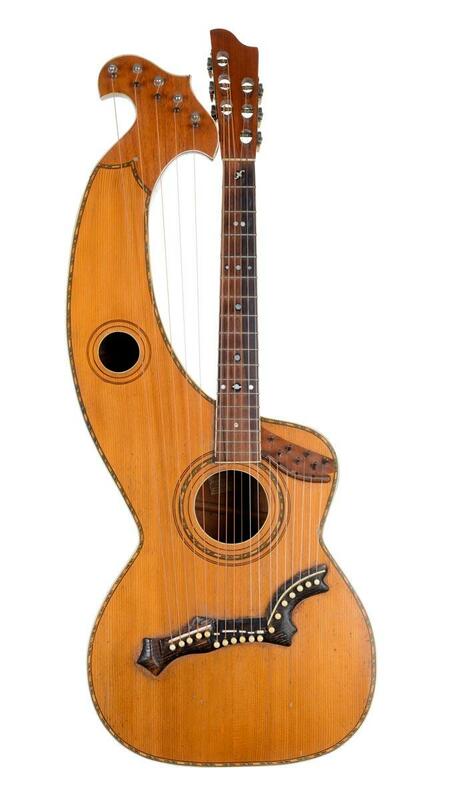 At the same time, it was Americans who came up with the romantic name of “harp guitar.” And it would prove a surprisingly durable romance indeed. 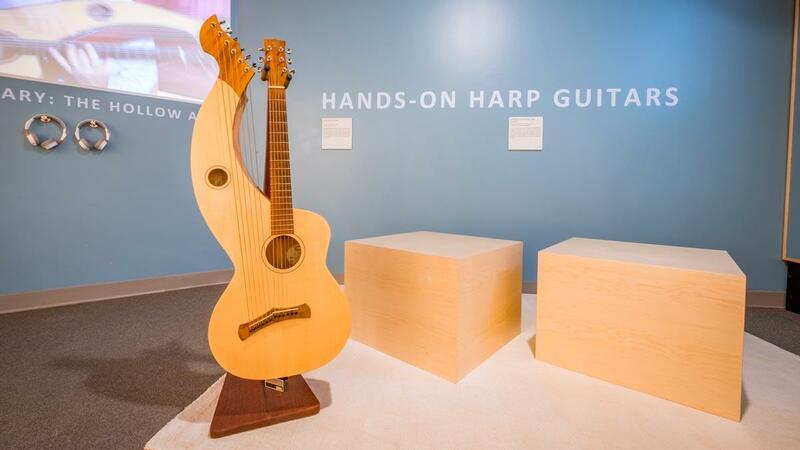 For over three decades—predominantly between 1890 and 1920—harp guitars in all their fresh variety would remain popular with American fretted instrument builders and players, from amateurs to professionals. 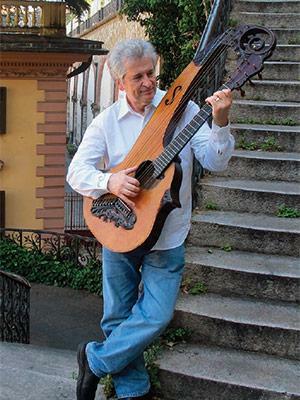 Though they subsequently disappeared for several decades, a rekindled love affair with the American harp guitar began to blossom in the 1980’s and continues today in a worldwide renaissance. 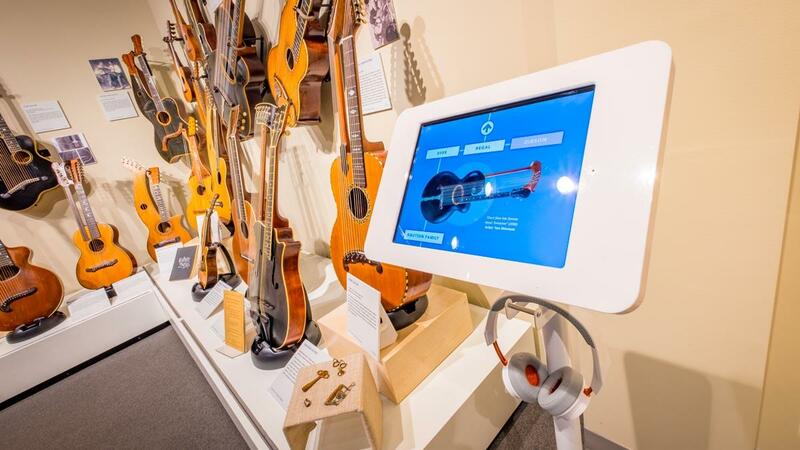 And this new exhibition here at the Museum of Making Music. This exhibition is sponsored in part by Tonedevil Guitars. 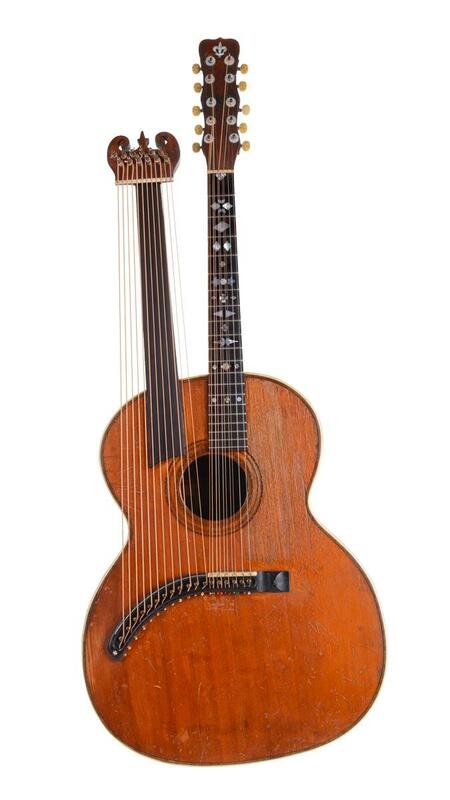 The Museum of Making Music would like to thank Tonedevil Guitars for their donation of the S-12 Harp Guitar for use in the Floating Strings exhibition interactive area. It takes a village to put together an exhibition and a companion catalogue of this scope, and there are many people to thank. My deepest gratitude is to Gregg Miner, who, through his vision, pas-sion, and depth of knowledge, has changed—and will continue to change—our musical landscape. Secondly, I’d like to thank the incomparable Muse-um staff team for their masterful work handling the intricate exhibition development process. I would also like to acknowledge the tireless work of graphic designer, Leah Roschke. Without her flawless design aesthetic, skill, and perseverance, this catalogue could not have happened. Lastly, I’d like to thank our volunteers. Through their generosity of time and talent, they will introduce the fascinating world of the harp guitar to our visitors, keeping it alive in the minds of many for years to come. 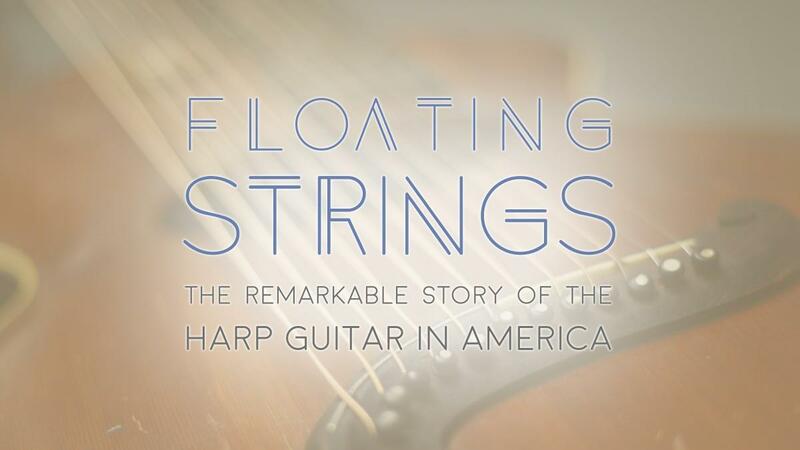 The Museum of Making Music is honored to welcome Gregg Miner as the guest curator for its special exhibition, Floating Strings: The Remarkable Story of the Harp Guitar in America. Miner is a plucked stringed instrument collector, scholar, recording artist, and performer, who is best known for his work with harp guitars. His years of research and extensive knowledge enabled him to define the harp guitar, both as an organological category and an instrument unto itself. 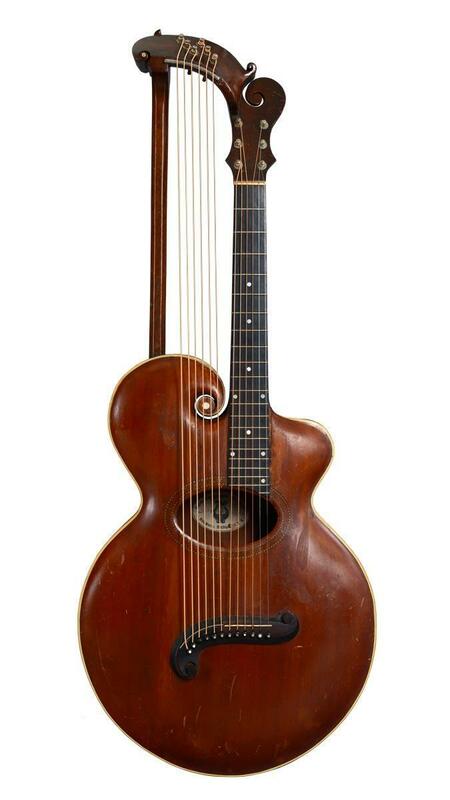 His “Harp Guitar” entry is included in The Grove Dictionary of Musical Instruments, 2nd edition. 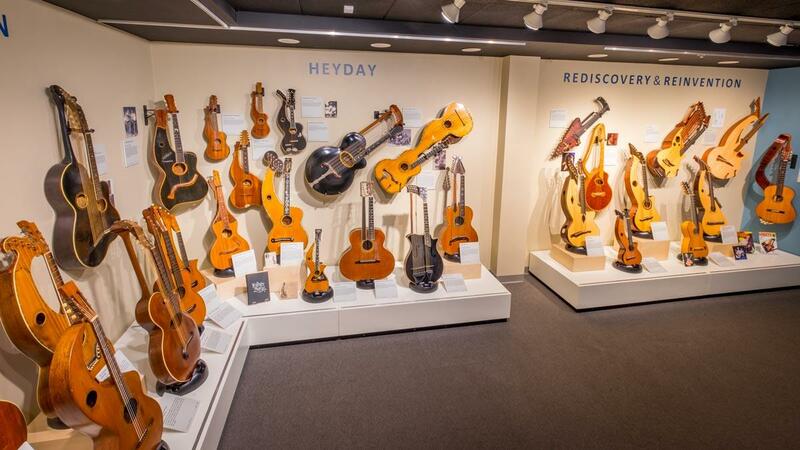 He has authored hundreds of articles, has lectured extensively, and has curated his own personal collection of rare and historic instruments that are housed in The Miner Museum of Vintage, Exotic & Just Plain Unusual Musical Instruments in Southern California. 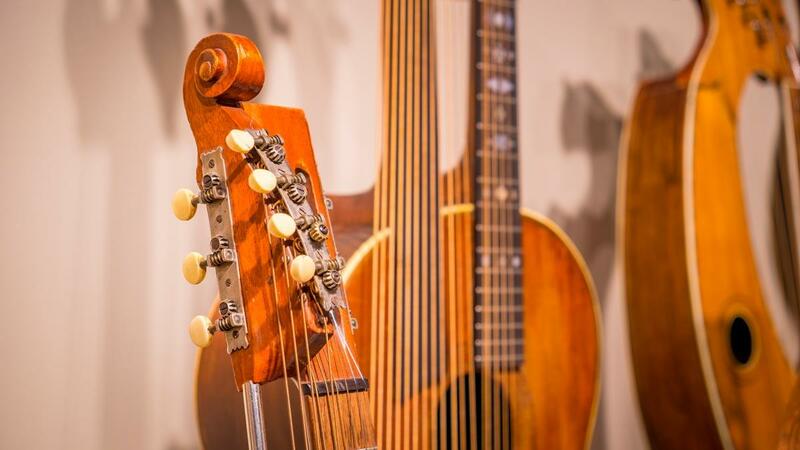 Between 2002 and 2009, Miner created The Knutsen Archives, an online catalog of luthier Chris Knutsen’s instruments; Harpguitars.net, the central repository of information on players, builders, instruments, music and history; Harp Guitar Music, a record label and Internet store focused solely on the instrument; and the non-profit Harp Guitar Foundation, which organizes and operates the biannual Harp Guitar Gathering®. In 2007, he served as content expert for the Museum of Making Music’s exhibition, Harp Guitars: Passion, Imagination, Artistry. He has studied pedal harp, performed on mandocello and harp guitar with the Los Angeles Mandolin Orchestra, and played lead guitar and vocals for the musical comedy Oldies band, The Pretensions. Miner has also recorded numerous CDs including A Christmas Collection, a two-volume set featuring 100 instruments from his private collection, and his most recent release, Norwegian Wood, New Music for the Antique Instruments of Chris Knutsen.